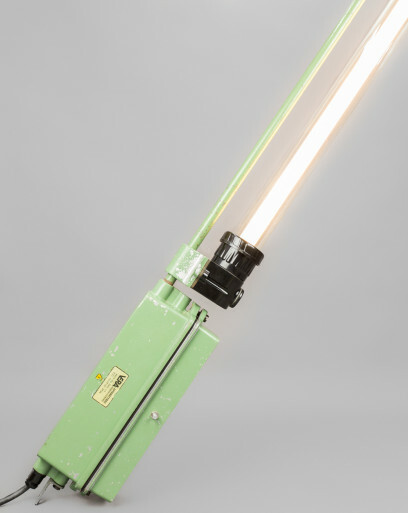 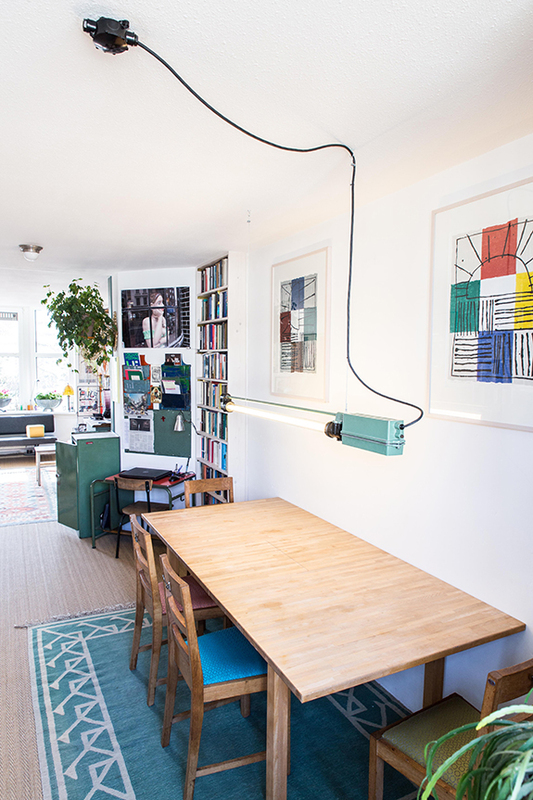 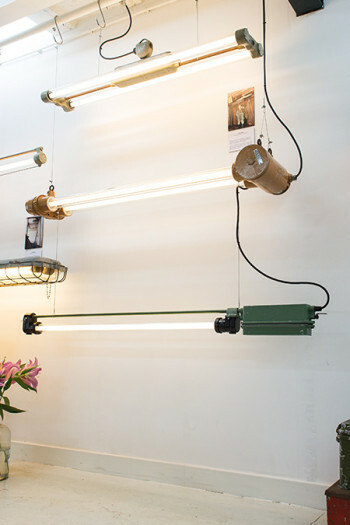 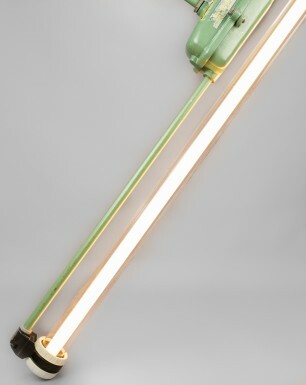 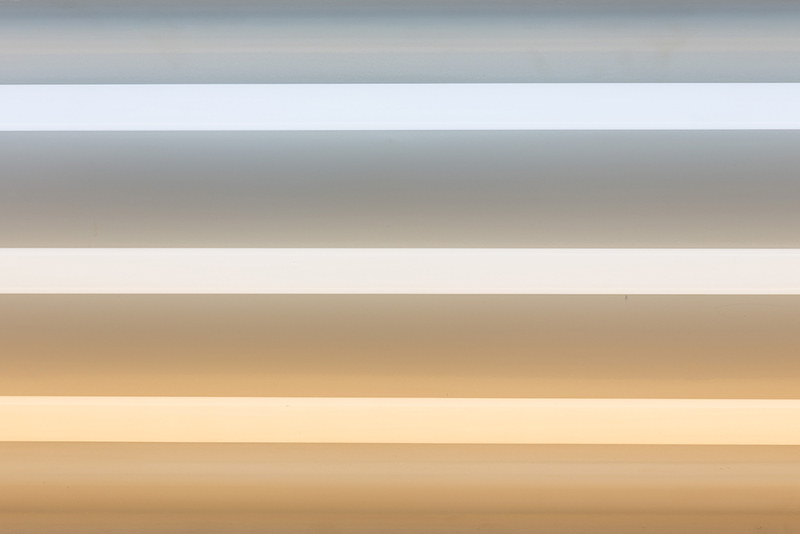 This stretched fluorescent light fixture originates from the late DDR era. 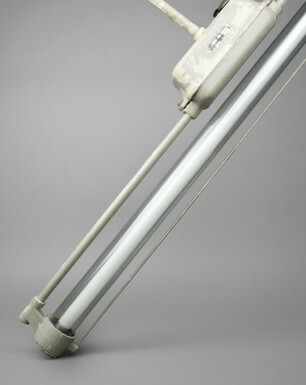 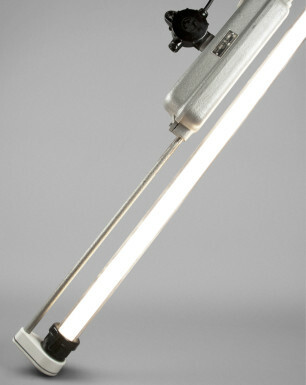 The design and materials indicate that the lamp is produced around the 1970s. 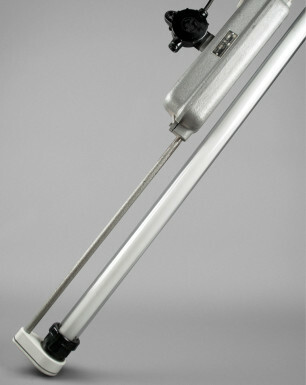 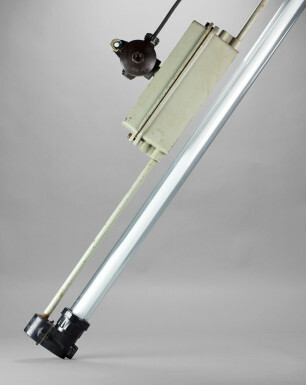 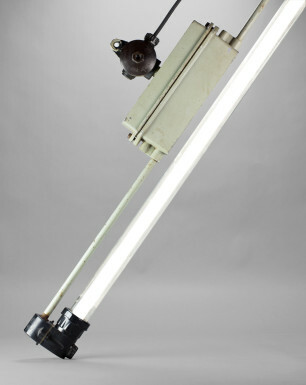 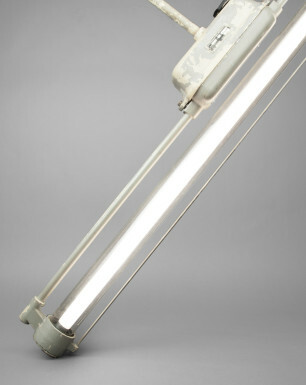 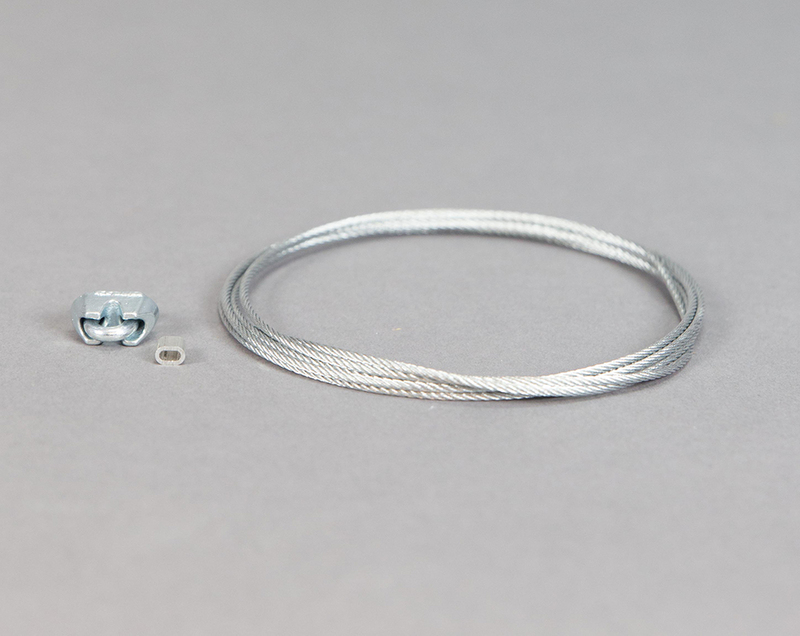 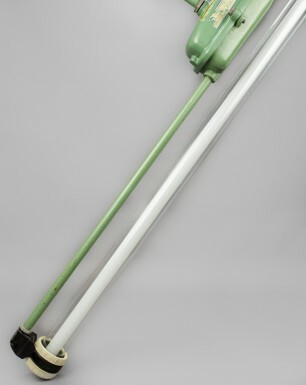 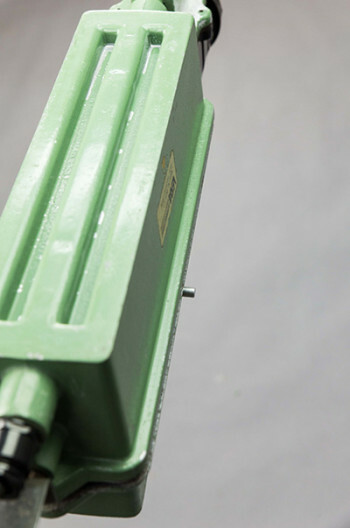 It consists of a slender cast aluminium housing and a long horizontal rod, combined with two bakelite ends that hold the 36 watt fluorescent tube. 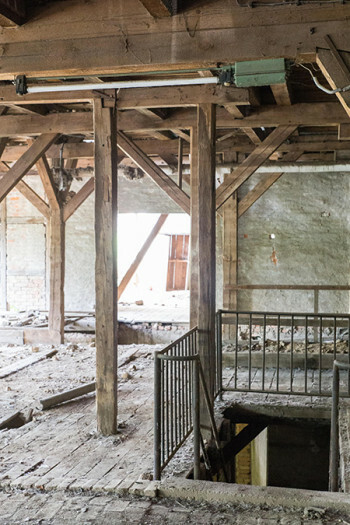 The Mule Deer was found in the main building of ‘die Ziegelei’ which is a former brick factory in East Germany. 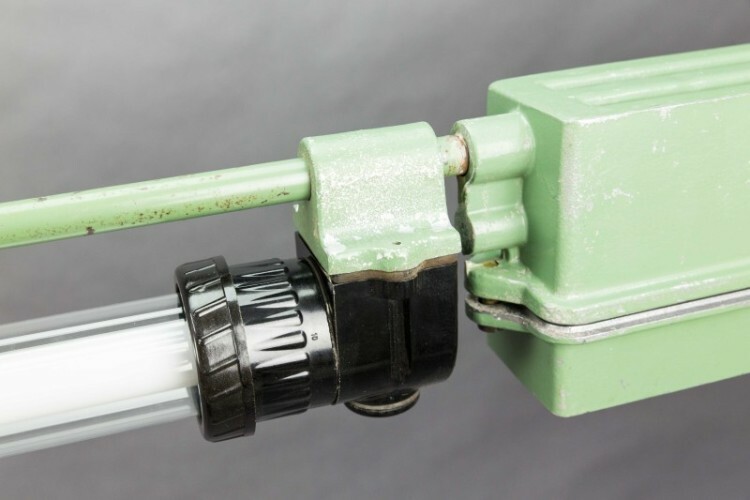 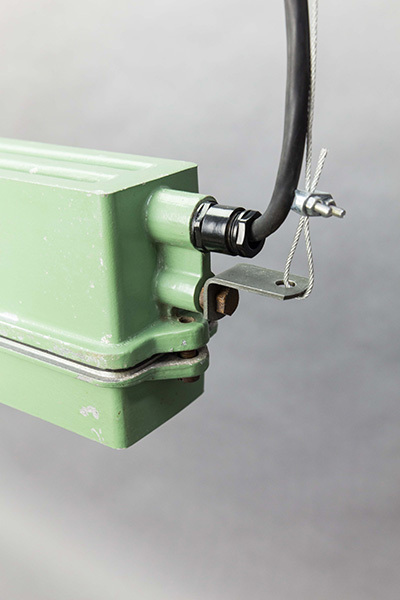 Fortunately, even after decades of abandonment, this tube light fixture maintained its distinctive green colour.